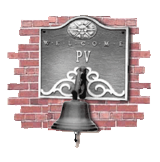 From the moment you approach Pewter Village you'll feel welcome. The gracious exterior — traditional brick, paneled doors, and fine polished hardware — reflects the colonial history of suburban Philadelphia. Traditional fencing and decorative gates surround the meticulously landscaped grounds with intimate seating areas tucked into the gardens near each residence. Lit by post-mounted lanterns, scenic pathways lead to a charming gazebo and also to a terrace overlooking Newton Lake. Both are perfect places to enjoy nature, or perhaps a good book, or the company of friends. Pewter Village is in an ideal location — a residential neighborhood in close proximity to services, shopping, and cultural events. Pewter Village is near public transportation and only minutes to the shops on Haddon Avenue right in historic Collingswood, or to downtown Haddonfield, Cherry Hill, and Philadelphia.